The brief for this 40th birthday party was to design and create a fashionable Ibiza themed party at our client’s new home for her 40th birthday. The party included bowl food and canapes, ibiza entertainment, swimming pool effect lighting, and a sophisticated cocktail and drinks service. I wanted to say a huge thank you to you and the team, the party was a great success. The lighting really made the house and garden look fabulous. Thanks again and please do pass on my thanks to your team! 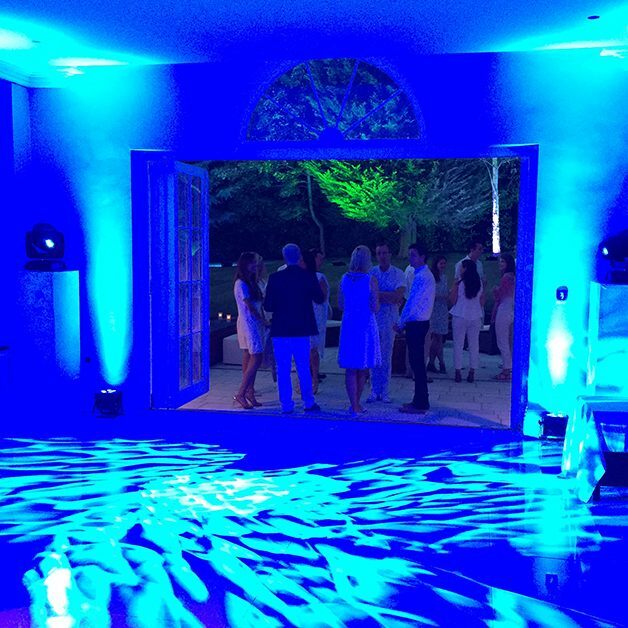 Our team transformed our client’s stunning new home into an Ibiza theme club by installing intelligent lighting throughout their property and garden. The house already had marble white flooring and white walls, which provided the perfect backdrop for our Ibiza themed party ideas! 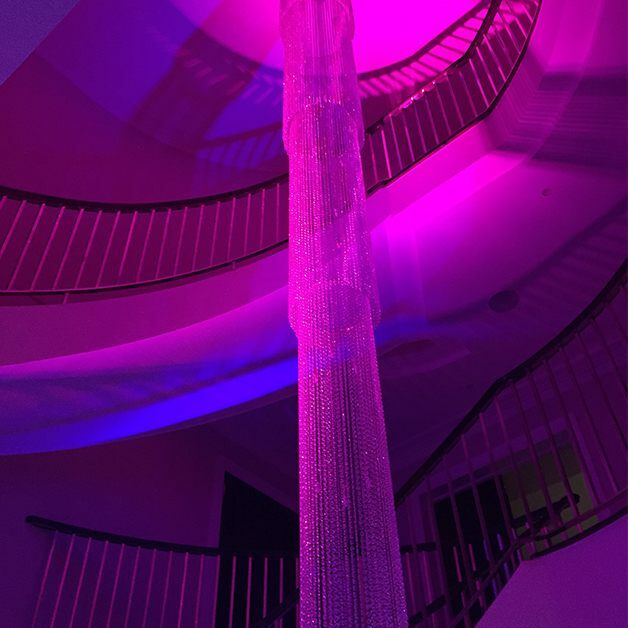 Our lighting designer produced a concept that transformed their white marble floor by creating a stunning swimming pool water effect for guests to dance on, transporting our guests from Surrey to the White Isle. Outside we provided pure white Ibiza lounge furniture alongside cool candles and storm lanterns to give a slick look and feel to the party. Cocktails flowed and bowl food circulated while our Ibiza DJ played the perfect soundtrack to the evening. As the sun set the outdoor lighting came to life by transforming the gardens into a stunning backdrop of colour.